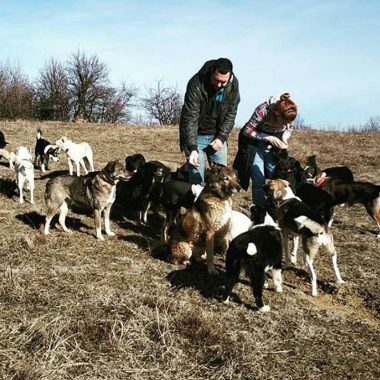 The young lady is a fussy eater, despite being a stray dog from Romania, and she prefers meat and dairy over any doughy treats, such as biscuits. 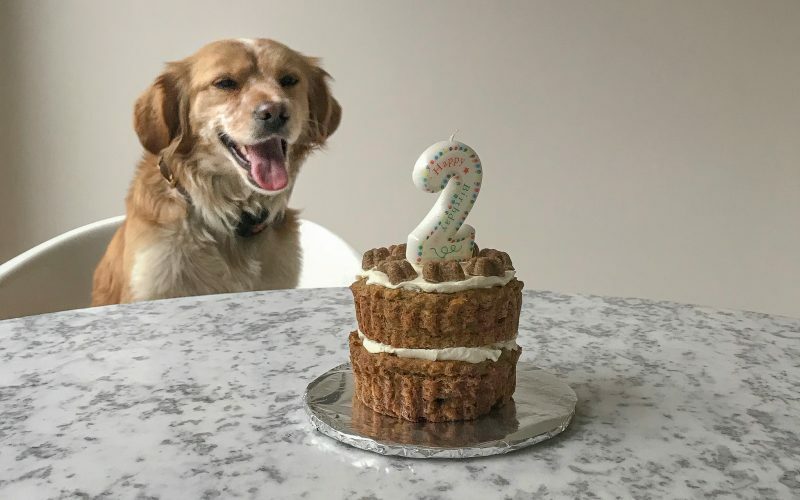 So, our wonderful friend, creative director and good-life blogger Avril Broadley, made Goldie a Birthday cake based on a pack of wet food with cream cheese and egg. It’s incredibly simple and these ingredients make enough for two mini cakes (pictured). 1) Whizz the oats in a food processor until they resemble a rough flour texture. 2) Combine all the ingredients and mix well. 3) Grease four mini Quiche baking tins (approx 12cm diameter. 4) Divide the mixture between the tins and bake at 160 degree Celsius for about 30 mins until baked and firm to touch. 5) Turn out and allow to cool. 6) Spread two halves with cream cheese and top with second halves. Spread cream cheese over the top of both cakes and decorate with mini bones around the edge. 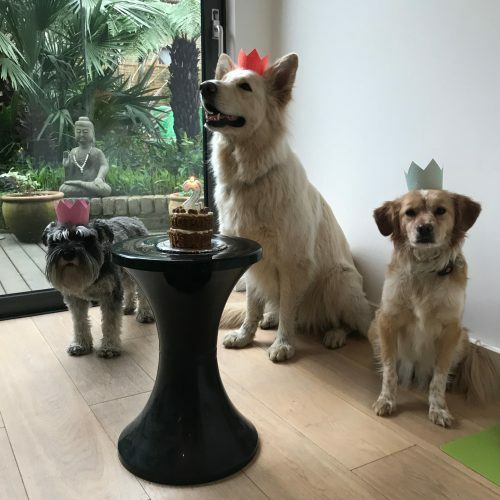 Goldie celebrated with Avril’s miniature schnauzer Ricci and rescue dog Billie, who rocks a crown possibly because she is actually Kennel-Club registered and called Snowdonia Queen.